Acquire food grade material to keep your Chinese and Italian food safe for a long time. 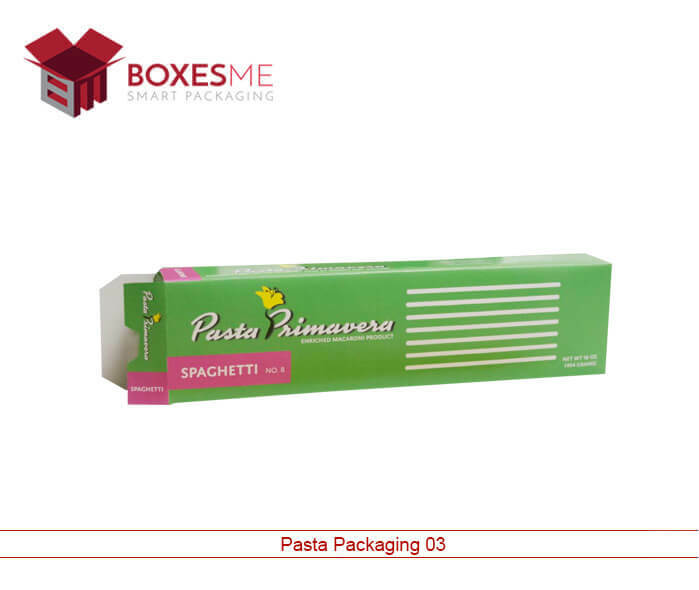 BoxesMe provides finest quality pasta packaging boxes with a range of customization options. Get your pasta packaging design by our skilled designers who provide free design assistance to make your food products look delicious to the customers. 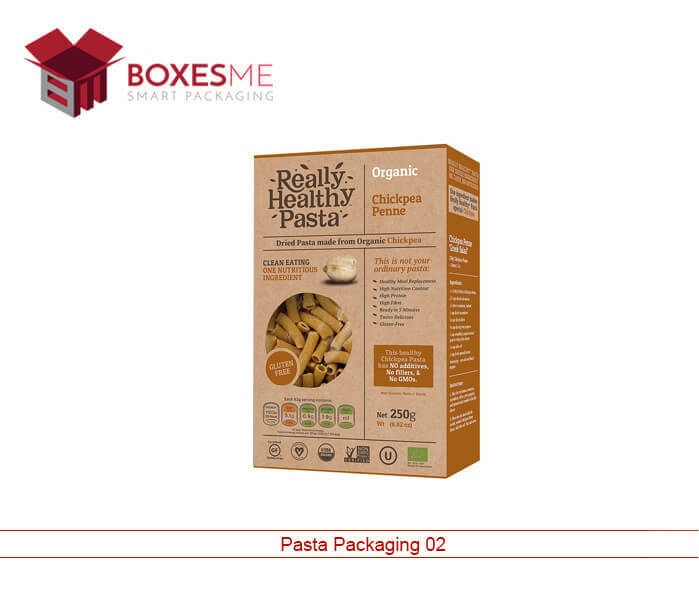 We provide fresh pasta packaging which keeps the processed as well as retail pasta fresh for a long time. 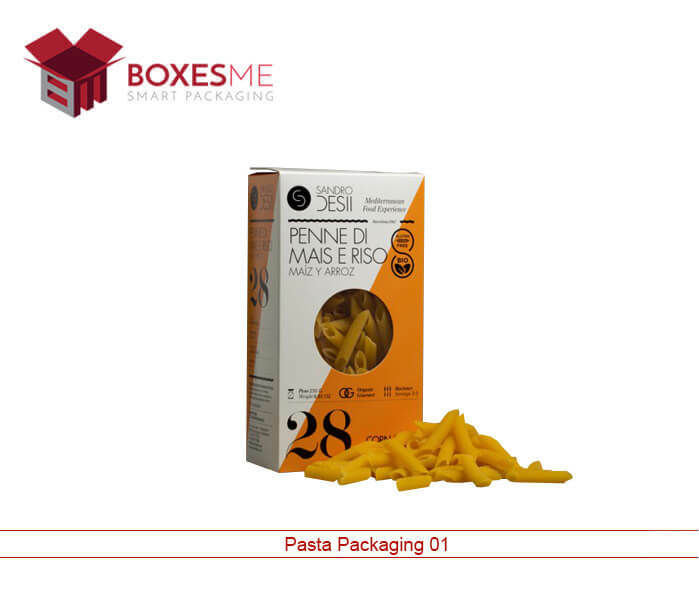 Get all types of packaging for pasta exactly according to your requirement. If you have a design in your mind, let us know and get the tailor-made boxes ready within a few days. If you are not sure about the design, get the help of our experts for free to get high-quality packaging. We are skilled and equipped with high-quality pasta packaging machine as well as unmatchable printing facilities. 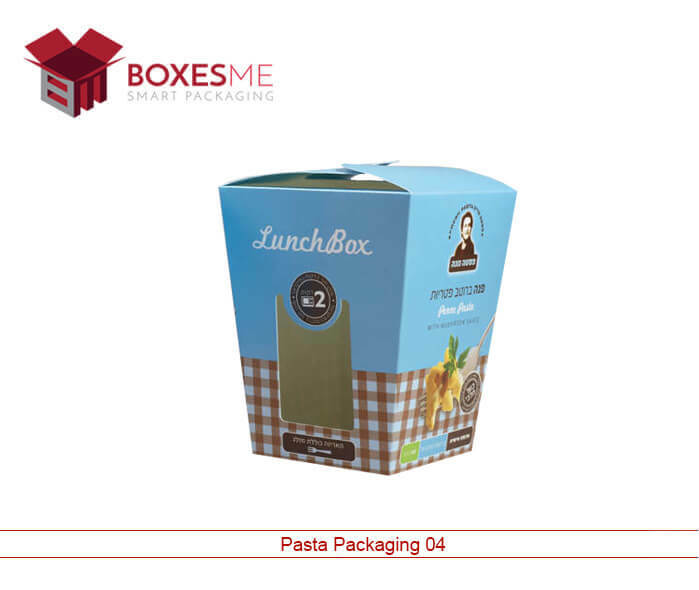 Get your pasta box for serving your customers in the restaurants, our cooked pasta packaging have excellent quality cardboard which keeps the edibles fresh. You can also acquire pasta box for delivery as it accommodates your eatables in a decent manner. Take out as well us pasta boxes for delivery at offered at affordable rates to facilitate small and large-scale food business. Italian food manufacturers produce different types of food including noodles, pasta, and spaghetti. They are offered as a staple food which is uncooked and require high strength yet colorful packaging to sell them at the retail store. Considering thickness, we at BoxesMe provides you sturdy retail pasta packaging boxes with colorful designs and printing. Our special pasta box has a transparent patch on its top lid which allows the customers to see the shape of the product without opening the box. These window pasta packaging designs are in trend nowadays as it appeals the customers to grab them instantly while at the grocery stores. Apart from the staple food pasta packaging, we also offer stylish boxes to keep the cooked pasta and deliver or serve them to the customers. These boxes are of high-quality cardboard which keeps the food warm for a long time and are ideal boxes for take-out and delivery. Our cooked pasta packaging let you achieve your business goals within no time as their attractive design crave the customers to grab them and eat the food. You can even order plain boxes with handle for the pasta packaging. Order us wholesale or in a smaller amount, we guarantee you high-quality packaging for your delicious food. Get free shipping all over the United States within shortest possible turnaround time. Call us now at +1-845-582-1499 to book your order now for your own designed pasta packaging boxes.